Best practice dictates that you should use a different password for all of your online accounts, but remembering them all can be nearly impossible – particularly if you want to use strong logins that are difficult to crack. However, there is a solution to both of these problems: a secure password manager that will generate strong passwords for you using a combination of letters, numbers and special characters, and store them all in an encrypted vault. Once you’re logged into the manager, these programs will automatically fill your username and password each time you visit a site that requires them – taking the guessing game out of surfing the internet. Some password managers and generators store your encrypted login info on your hard drive, while others will upload your details to their own servers, enabling you to access them from any internet-connected device. With this list, we’ve gathered the best of both worlds in order to bring you a comprehensive list of the best password managers you can use today. Say goodbye to lost password anxiety. LastPass comes in two different flavors – free and premium. Either will generate and store any number of different logins in a secure vault that’s protected by your master password, with multi-factor authentication for added security. This includes hardware authentication via YubiKey for Windows, Mac, iOS and Android. 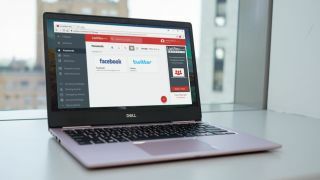 The free version of LastPass also offers secure storage for text notes, syncing of credentials across browsers, and access to your secure vault from any internet-connected device via LastPass.com. It will refuse to autocomplete forms on known phishing websites, and you can export your data at any time, if you decide to switch to a rival password manager. The premium version adds secure cloud storage for files, advanced multi-factor authentication, and the ability to set up a contingency plan so your loved ones can access your accounts in an emergency. The only downside of LastPass is its popularity, which makes it a popular target for criminals, but exploits are rare and there haven't been any cases of users' encrypted logins or master passwords being stolen. For sheer convenience and ease of use, LastPass is hard to beat. Dashlane is LastPass's closest competitor and, like LastPass, it's completely worth checking out, featuring one-click password generation, world-class security, breathless ease of use and ability to store notes for future reference. It’s not just a Windows desktop program either; there are browser plugins and mobile versions, and similar to LastPass there's a premium version of Dashlane that includes unlimited sharing and syncing. Dashlane Premium costs $39 (about £30, AU$50) per year, but the free version features all the essentials: you get the core password manager, autofill and digital wallet features, all of which work flawlessly. Don't settle for LastPass without trying Dashlane first, and vice versa. Plus, if Dashlane’s newly announced Project Mirror works out, we might see a future where we never have to deal with pesky passwords again. RoboForm claims to be the best password manager in the world, and not unreasonably so. After a recent update, they’ve added support for storing a limitless amount of logins in the free version. It also boasts application logins, secure storage of notes, multi-platform support, and the ability to gain emergency access. RoboForm Everywhere allows you to sync across devices, cloud backup and the ability to gain emergency access yourself. If you decide to buy a premium license, it’ll cost $19.95 or £15.95 (about AU$25) for one year, $49.95 or £39.95 (about AU$65) for three years, or $74.95 or £59.95 (about AU$95) for five years. There are also family subscriptions available for up to five users. RoboForm might not be able to claim the same robust feature lists as their rivals, Dashlane or LastPass, but it's a very good password manager regardless and the free mobile apps are fantastic. Its password generator is particularly strong, allowing you to exclude similar characters and specify which special characters you need to meet specific password requirements. Roboform is available for Windows, Mac, iOS and Android, and is a good option for anybody who wants a simple and secure way to sync passwords between laptop, desktop and mobile platforms. It isn't the most aesthetically pleasing password manager in the world, but KeePass Password Safe offers robust security, multiple user support and downloadable plugins to expand its feature set. KeePass's secure password generator can produce logins suitable for those annoying sites with very specific requirements, and clearly indicates any options that might make the generated password weaker. The password manager features a portable installation, allowing it to run from USB without installing on a PC, it can input from and output to a wide range of file formats, and there are tons of customization options to play with. The fact that KeePass Password Safe is open source means anyone can inspect the code for potential weaknesses, which means that any security issues can be identified and fixed quickly. It's a great app, if a bit intimidating for beginners. Sticky Password comes from the team behind AVG Antivirus, so you can be sure that security is its top priority. There are two editions of Sticky Password: free and premium. The premium edition adds cloud syncing and backup and costs $29.99 or £19.99 (about AU$40) a year. There's also a lifetime license available for $149.99 or £96.99 (about AU$200) – an option not offered by any other premium password manager. Both versions of Sticky Password include a generator that can create secure logins for you while you're registering for new online accounts. It's straightforward to use, but doesn't offer as many customization options as the other services here. The app works on PC, Mac, Android and iOS, supports fingerprint authentication on mobile, is available as a portable USB version and offers lots of sync options including Wi-Fi syncing with local devices. Browser extensions are also available for Firefox, Chrome, Opera and Internet Explorer, but not Edge.